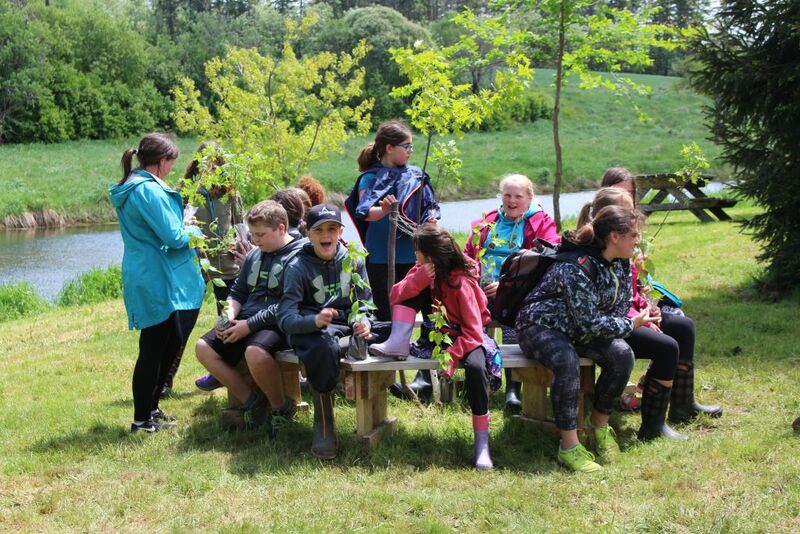 On Friday, June 10th, we had 102 grade 5/6 students from Gulf Shore Consolidated, Central Queens Elementary, and a local homeschool group join us at Rackham’s Pond for the 7th annual Environmental Fun Day which WRIG plans in partnership with the Hunter-Clyde Watershed Group. Even though we had a bit of rain in the morning the event was a great success! The students rotated through six different educational stations and filled out their ‘Fun Day Passports’ after each presentation. Our presenters came out from the PEI Invasive Species Council, Bedeque Bay Environmental Management Association (BBEMA), the PEI Department of Communities, Land and Environment, and the Cornwall and Area Watershed Group. 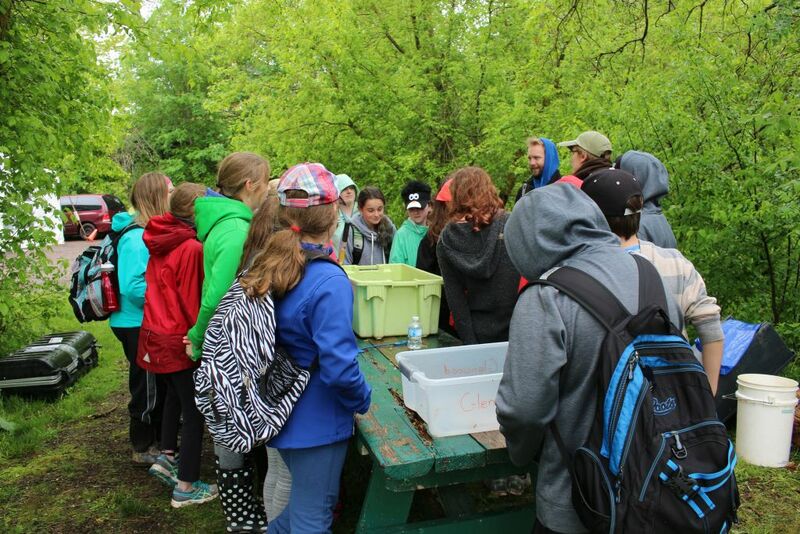 The students learned about invasive species, electrofishing, water chemistry, healthy forests, wildlife identification, and songbirds and amphibians. 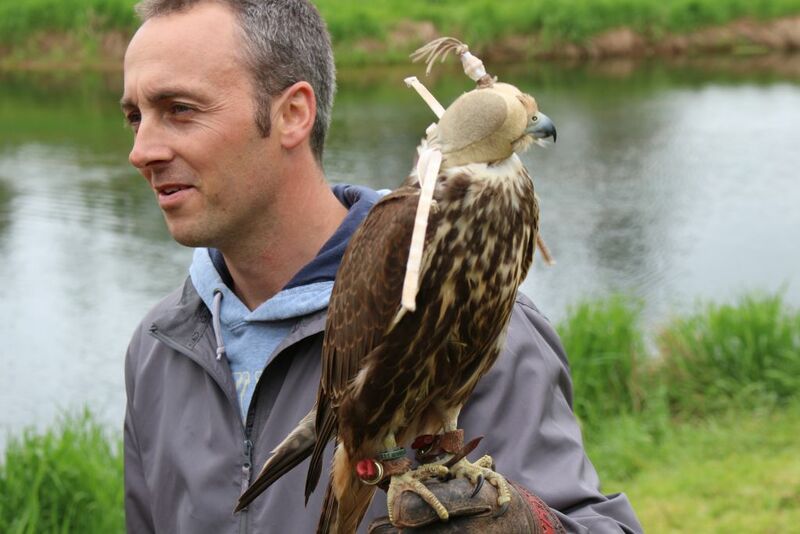 We also had a presentation by Jamie Stride with Island Falconry Services at lunch which everyone thoroughly enjoyed. It was an excellent day and we are grateful for our wonderful presenters, all the great volunteers that came out to help, and the fantastic students and teachers that joined us! Each of the students were able to take home a native tree to plant. Students at the Electrofishing station taking a look at the fish. Jamie Stride from Island Falconry Services gave us a presentation during our lunch break.